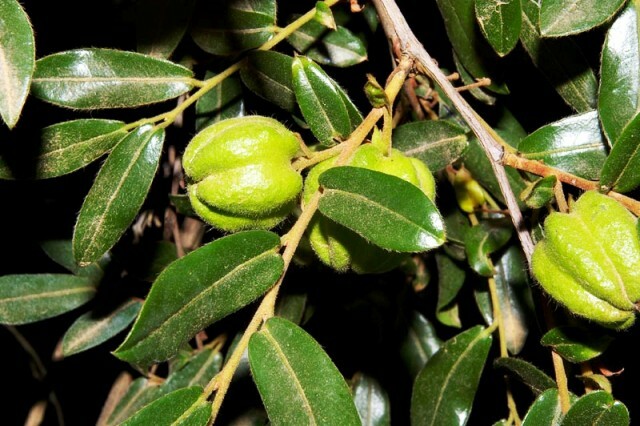 Bladdernut is an evergreen shrub or small multi-stemmed tree bearing edible fruits. 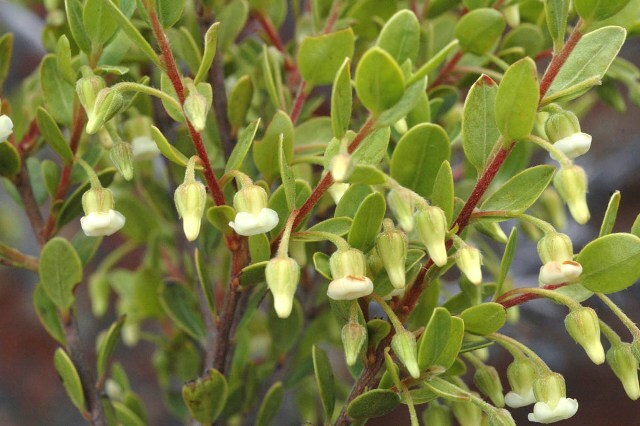 It can be found all over Africa naturally in forest, on mountain slopes and in rocky places. It has a wide distribution occurring in all the provinces in South Africa and stretching as far north as Ethiopia. 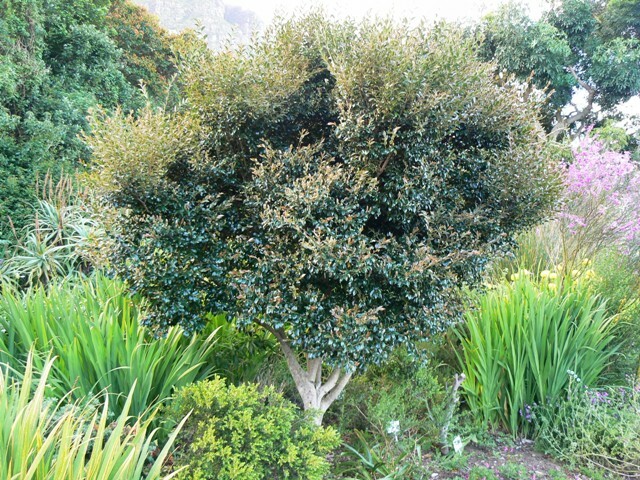 It possesses so many good features like dark green, strikingly glossy leaves; creamy fragrant flowers; unusual smooth, dark grey, almost black bark and distinctive reddish brown, papery, balloon-like fruit pods. All these make it a very suitable garden tree. Though the fruits are edible, but still it is grown for its attractive features anmd not for fruits. Scented flowers, hanging from hairy stalks, appear in spring. They are bell-shaped, white to creamy yellow and male and female flowers occur on different trees. The fruits, borne throughout summer, are fleshy berries that turn scarlet when ripe. 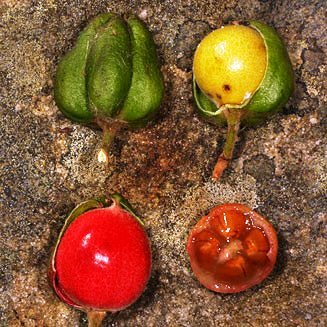 They are enclosed in inflated, bladder-like capsules that dry to red and remain on the tree for many months after the fruit has fallen and so may be found on the trees at almost any time of the year. The fruits are edible but are somewhat bitter and so not very tasty. The roasted seeds have been used as a coffee substitute. The wood is variable in colour, mainly whitish with brown to purple stripes, dense, evenly grained, strong and suitable for furniture, but large logs are often not available. Smaller diameter stems are used for implement handles. Bark extracts are administered as enemas for treating menstrual pain, impotency and infertility. A leaf and root infusion can be used to treat rashes. Regular applications of compost, manure or inorganic fertilizers will result in strong, healthy growth. Occasionally the plants are attacked by brown scale or sooty mould, if this occurs, treat as per usual with a recommended pesticide.